After a grueling and very successful first season, MTV's Scream TV Series is returning for Season 2 in just a few weeks. While you'll have to wait until Monday, May 30th to see the full premiere, fans can get a taste of all-new episodes with the first 7 minutes. This opening arrives in true Scream sequel fashion. And things definitely kick off with a bang! Scream Season 2 jumps off with Vine star Lele Pons. In this extended clip courtesy of Youtube, we see Lele on the phone with her girlfriend. Mid-conversation, the young woman discovers that her kitten Butterscotch is missing. In creeps the ominous music. The girl goes sneaking around her dark house alone. But as we soon learn, there is a mysterious figure hiding in the shadows. Wielding a knife. That person is unmasked as a friend. But that friend has very deadly intentions. This ends with Lele's brains splattered all over the back yard. Cut to: A direct nod to the original Scream 2 directed by Wes Craven. Audrey (Bex Taylor-Klaus) watches as these scary events play out on the big screen to a crowded house. In the dark of the movie theater, Audrey gets a mysterious invite to a party from her 'Conscience'. She then receives a call from Noah, and exits the theater. Noah is about to head to Emma's welcome home party. He wants to swing by and grab Audrey, so they can caravan over together. He wants to have Emma give an interview for his podcast. But the timing might not be right. And Audrey thinks it's a horrible idea to talk about the 'incident'. Noah isn't allowed to talk about all the murder stuff, or what happened to Emma afterward. After getting off the phone with Noah, Audrey texts her mysterious new friend back, and learns that this invite has come from a 'friend of a friend'. And then the unknown texter refers to Audrey as 'Partner'. Audrey shuts off her phone and locks up the movie theater, only to discover there is still someone in the lobby. Someone that recognizes her. And what happens next? Well, you'll just have to watch for yourself. But we do get to see Ghostface. Kind of. 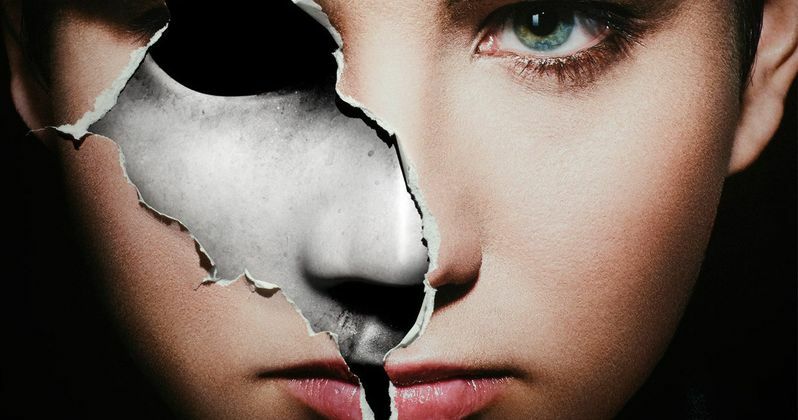 Season 2 of the Scream TV show picks up with Emma's (Willa Fitzgerald) return to Lakewood after several months at a retreat, where she tried to recover from the horrors of last season. Everyone is walking on eggshells around her, questioning whether she has truly gotten over the Killer's crimes. Meanwhile, Audrey (Bex Taylor-Klaus) is hiding her connection to the Killer, but is getting harassed by someone who knows the truth. Brooke (Carlson Young) and Jake (Tom Maden) are also keeping secrets, they are hiding a budding romance from Mayor Maddox (Bryan Batt). And, Noah (John Karna) is getting closer and closer to the truth about the season 1 murders. Lakewood's murderous past, both recent and distant, are once again brought to focus - with this Killer's psychotic mind-game intent on bringing Lakewood's heroes down in a storm of betrayal and bloodshed. New to the cast this season is Kiana Ledé (Republic Records Recording Artist), Santiago Segura (47 Meters Down), Anthony Ruivivar (Banshee), Austin Highsmith (Murder in the First), Sean Grandillo (Spring Awakening - Broadway Company) and Karina Logue (Ray Donovan). Get your first taste of the horror that await in Scream Season 2's first 7 minutes.